We are an expert supplier and manufacturer of magnets and magnetic products into a B2B environment already working with major plc's and blue chip organisations. 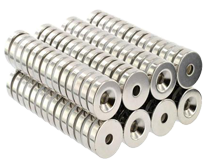 A dedicated and specialist supplier of neodymium magnets and permanent magnets. Through operational excellence, we will provide our customers with a superior service experience and the highest quality magnet components and assemblies. 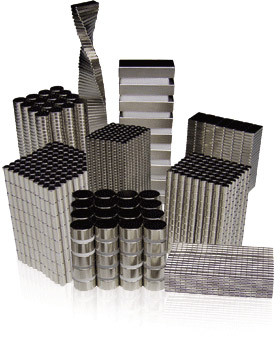 We offer a wide range of permanent magnets and magnetic assemblies. We offer our entire range to businesses and public alike. NdFeB (Neodymium or Neo) and SmCo (Samarium Cobalt), the two Rare Earth magnets are the first choices for strong magnets. NdFeB are the most powerful magnets available and provide maximum performance. 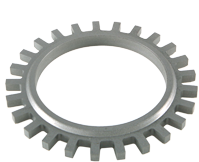 SmCo magnets and Alnico magnets are ideal for high temperature and temperature stable applications. Ferrite magnets are ideal for lower cost applications and for corrosion resistance applications (SmCo is also a corrosion resistant magnet). We also offer a wide range of flexible and bonded magnets and magnetic assemblies. For the Neodymium Iron Boron (NdFeB) Rare Earth magnets, we offer 107 licensed grades with 26 options for coating finish for each grade. We offer 27 grades of Alnico magnet, 13 grades of SmCo Rare Earth magnet and 14 grades of Ferrite magnet. Full technical specifications and magnetic properties are available upon request. We supply globally to all industries and also to members of the public. Our magnets are used in Automotive, Aerospace, Military, Advertising, Design House, Research and Development, Formula 1, Marine, Recycling, Food Preparation, Medical, Oil and Gas, Manufacturing, Point of Sale, Furniture, Construction, Electronics, Pharmaceutical, Pumps, Motors, Generators, Universities, Schools, Agriculture, Workshops as well as in the Office and at Home. The quality of our magnets is assured. Our factory and our subcontractors have between them ISO9001, ISO14001 and ISO/TS16949 quality control accreditation. We can provide Certificates of Conformity (C of C) for all our products upon request. To aid protection of information, we can provide our services under Confidentiality Agreements / Non Disclosure Agreements / NDA. PPAP (Production Part Approval Process) is also available under our NDA. e-Magnets UK is a global leader in the supply of magnets and magnetic assemblies. Although based in the UK, we supply globally and have customers across UK, Ireland, Europe, USA, Australia and Middle East. For our USA customers, we have a US dollar account allowing us to sell larger quantities very competitively in US dollars (please ask us for a quotation). We offer a wide range of products that can be bought direct from us via our online shop (global delivery charge options are given at checkout). If you cannot find the right product or the right size, we may be able to manufacture it for you as part of our custom magnet made-to-order service. If you wish to buy magnets and assemblies in large quantities, please contact us for a no obligation quotation. Our prices are competitive and the quality second to none. We even offer technical support to ensure you find the magnet that is right for your application. Technical data sheets for our magnet ranges are available upon request. Our magnetic product range includes disc magnets, ring magnets, magnetic spheres, block magnets, pot magnets, clamping magnets, car roof magnets, ceiling magnets, switching magnets, lifting magnets, flexible rubber magnets, sheet magnets, tape magnets, steel tape, notice boards, notice board magnets, magnetic paper, fridge magnets, business card conversions, magnetic sweepers, magnetic separation rod magnets, separator grids, compasses, gaussmeters, ferrofluid, ball bearings, magnetic viewing film, iron filings, experiment kits, generator magnets, reed switch magnets, bespoke magnets, bespoke assemblies and educational magnets. We are continually adding to our range. Our online magnets shop is SecurityMetrics certified Thawte 100% secure, providing complete peace of mind when shopping with us. We do not store any of your credit card details and we do not use or share any of your personal information (except to provide you with updates of your order). For note, although you can buy our magnets online, we also accept telephone orders. If you want strong and powerful rare earth magnets, improved corrosion resistance NdFeB (Neodymium magnets), high temperature magnets or even bonded magnets, we offer it. If you require custom sized magnets, we can (within reason) produce it for you. If you need SmCo and NdFeB with very tight tolerances, we can assist. And if you are not sure what you need, our technical support will guide you. We even have magnetic FEA that we can use to model your design. We do appreciate the limitations of a website. Therefore we ensure it is extremely easy for anyone to make direct contact with us either by telephone or e-mail. We believe in talking to our customers, which is why we have a dedicated, expert sales team who are available Monday to Friday from 8.30am through to 5.30pm. And, if you are near to Berkhamsted, you could visit us and buy direct from the counter.